Yesterday it was "Business Monday” at the Westergasfabriek. During the tenth and final day of Mercedes-Benz FashionWeek Amsterdam, the setting up and development of a successful and sustainable fashion company was an important topic. The fashion designers who appeared on the catwalk yesterday distinguished themselves not only by their collections, but they also differ greatly from each other in terms of how they conduct their business. The women's collections and Said Mahrouf’s performance-related designs find their way into the world through the ComposiTe foundation. Corset maker dennis diem works from his salon in NoJo, Amsterdam. Designers Spijkers en Spijkers commute between London and Amsterdam. The sisters are loyal to the Dutch fashion week and their work is growing steadily. The SIS by Spijkers en Spijkers collection is accessible to many. Queen Maxima is certainly not the only one with creations in her wardrobe. Mercedes-Benz FashionWeek Amsterdam also offers newcomers the opportunity to grow as a designer, brand and company. Pilger and the label “Frida by Alexandra Frida“ took the opportunity to show a limited version of their complete collection to the fashion professionals and press by sharing a Fashion LAB show. Edwin Oudshoorn’s Salon Show demonstrated his growth with the fashion platform, and his strong business development. Vodafone Firsts Fashion LAB ended with the screening of a documentary about the talent programme, created by VICE. The fourth edition of “Keys to Success", the networking event of fashion week, was dominated by the development of sustainable business models. Speakers from the FashionWeek Nederland network included Brigitte de Wilde (Cora Kemperman) Carlien Helmink (Studio JUX and former winner of The Green Fashion Competition) and Sofie Schop (CSR-specialist Schuttelaar & Partners). The latter developed a tool guide with ABN AMRO to assist the fashion professionals who were present in setting up a business. 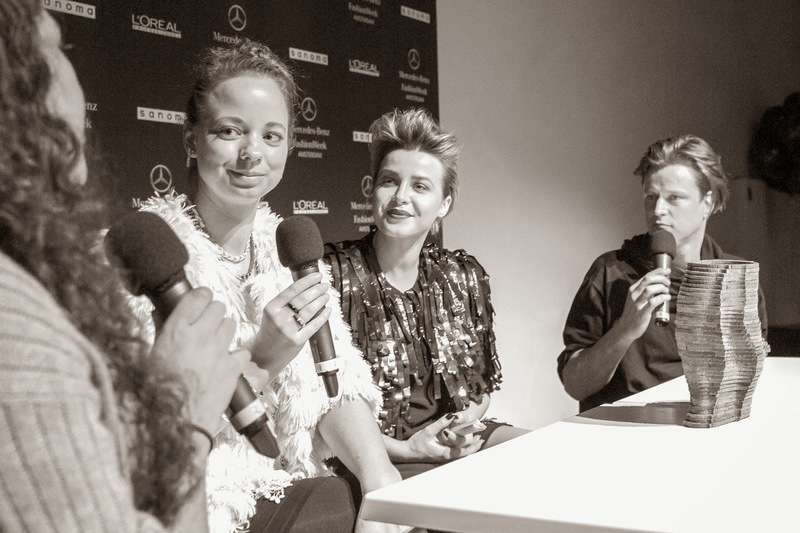 The cooperation between Mercedes-Benz FashionWeek Nederland and the cultural institution, Stedelijk Museum Amsterdam took shape with a Fashion Talk from Winde Rienstra, hosted by Victoria Koblenko, Winde‘s fan from the word go. Experts on fashion and art like Rogier Vlaming (GLAMCULT) and Noni May (Amsterdam Curated) interviewed Winde and debated about art and fashion. 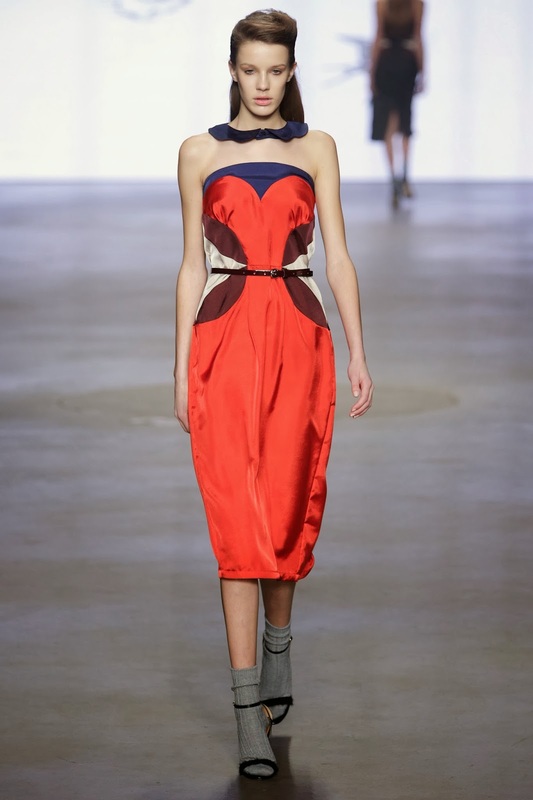 This allowed not only the Catwalk audience, but also the Downtown audience, to enjoy this interesting designer. During day ten the fashion week also celebrated the connection between fashion and interiors. At the Mercedes-Benz FashionWeek Amsterdam location, the Westergasterrein, the Sanoma Woon Awards were presented under the theme Living meets Fashion. The awards, designed by dennis diem, were given to individuals and brands that made an exceptional contribution to the residential sector in 2013. After ten wonderful days of fashion Mercedes-Benz FashionWeek Amsterdam can look back on a colourful, inspiring 10-Days. Day 1, Day 2, Day 3, Day 4, Day 5, Day 6, Day 7, Day 8 and Day 9.